We are a small church in terms of membership, building, and budget – but we give back to our community as much as possible with what we have. You are welcome to learn more about the organizations we support here, and to donate or get involved yourself. Also, please see here for our resources for seniors. The New London Community Meal Center, aka the Soup Kitchen, provides free, hot meals to anyone who needs one with no questions asked. They have been feeding the hungry for many years, and are always looking for donations and volunteers! The Interfaith Food Locker of Waterford offers opportunities to donate food that is distributed to low-income families in our communities. There is always a need for those who have fallen on hard times! 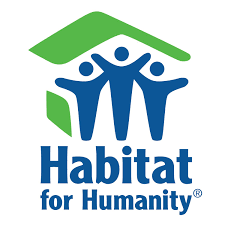 Habitat for Humanity builds affordable housing for people in need and addresses the housing crisis in this country. Recipients work alongside professionals and volunteers to contribute “sweat equity” as part of an affordable payment plan. Presbyterian Promise is committed to equality and civil rights in the church, particularly for our LGBTQ sisters and brothers. They perform education and outreach oriented around the message of the gospel, and strive to live out the command to love one’s neighbor as oneself. Days for Girls works for health of women and girls around the world. They provide education and hygiene products to people who don’t otherwise have access to them, in order to give women everywhere greater dignity and freedom to live independently. Start Fresh is a nonprofit focused on refugee resettlement in the southeastern Connecticut area. Start Fresh helps new arrivals find housing, learn English, acquire job skills, and much more. Crossroads proudly supports them as part of our theology of serving the poor and immigrants among us. Kiva is a nonprofit that offers small, affordable loans to people around the world who need a leg up — to feed their families, start a business, pursue education, etc. Giving just a few dollars can make a huge difference to someone’s life. The Homeless Hospitality Center provides food, shelter, and assistance finding jobs to the homeless in our local communities. They are also active in seeking to address the underlying causes of homelessness. Volunteers and other forms of support are always appreciated! Presbyterian Disaster Assistance is an arm of the Presbyterian Church that delivers humanitarian aid all over the world — to survivors of floods, hurricanes, fires, wars, epidemics, and all kinds of crises (natural or human-caused). They send not only money and goods, but also volunteers to places across the globe. The Haitian Health Foundation exists to promote community development in Haiti — especially for women and children — by providing better education and healthcare. Although they are a small organization, they are committed to taking on the conditions that create chronic poverty and inequality. The Presbyterian Immigrant Ministry provides spiritual guidance, ministry, and services to undocumented immigrants who find themselves jailed for being in the U.S. illegally. Equal Exchange is a fair-trade organization dedicated to providing products for which workers get paid a living wage. They trade especially in coffee and chocolate. Our church offers a kiosk where you can buy goodies and support a great cause!